Our family is Chilean/American, and while our vineyard and farm is in Chile, I (Courtney Kingston) live in Northern California and travel back and forth to Casablanca. I am fortunate to feel at home in both places, and am often struck by the similarities. As Byron Kosuge, our consulting winemaker from Napa likes to say, Casablanca is like California with the "volume turned up". Instead of the Sierra Nevadas, you've got the Andes; instead of driving 3 hours from San Francisco to Lake Tahoe to ski, in Chile you can ski Portillo and swim in the Pacific (in a wetsuit, no doubt) in the same day. Byron works with vineyards up & down the California coast (from Hirsch Vineyards up in Sonoma, to Pisoni Vineyards in Santa Lucia Highlands, down to Talley Vineyards in Arroyo Grande), and he says western Casablanca reminds him most of California's Santa Rita Hills on south-central coast. So each year, we try to make the connection with someone going north or south, sharing and expanding their pinot winemaking or winegrowing knowledge. 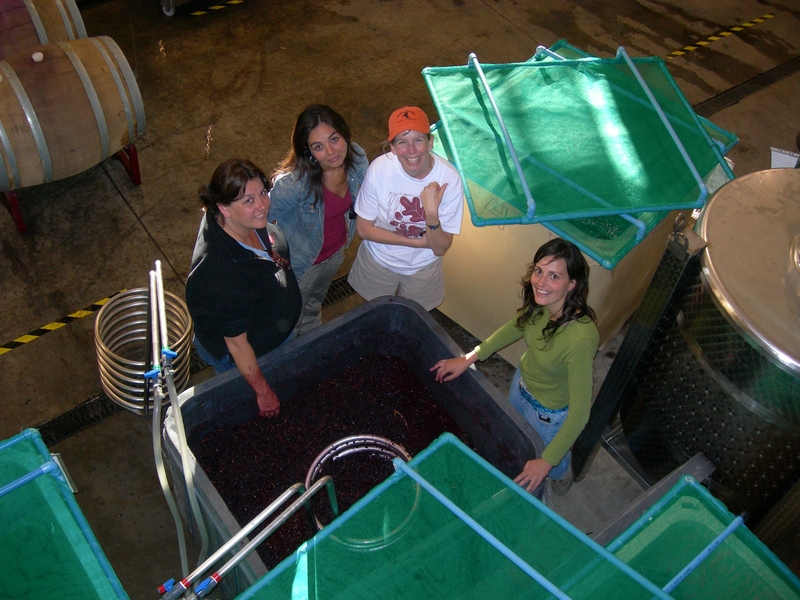 We've been a bit of the Harriet Tubman of pinot noir people headed either way, and we are happy to now have a small diaspora of alums from our exchange program. In addition to connecting young Chilean winemakers with California pinot "mentors" like Ken Bernards (Ancien), Michael Terrien (Acacia), and Bob Cabral (Williams Selyem), we've also welcomed California winemakers south to Casablanca including Leslie Mead Renaud (from Talley, now of Lincourt), Alex Beloz (Molnar Family), and Whitney Ulvestad (Hudson). As we're gearing up for our 2013 harvest which will start next month, we're excited to welcome Morgan Hall to our team! Before working harvest with us she was at Archery Summit in Oregon, Burn Cottage in NZ, and Copain in CA where she met our California winemaker, Byron Kosuge.